This week at PopMatters, I wrote about rediscovering JRPGs. As you may have guessed, the column was inspired by our recent conversation with Michael Abbott. I touched on this in the post, but I think it's important to reiterate the role game criticism has played in helping renew my interest in a genre I've been neglecting. Plenty of people (including myself) are constantly arguing in support of games criticism. We insist that it's an important and meaningful pursuit, yet it's a notoriously difficult thing to quantify. How exactly does smart writing change to way we look at games? Good game criticism helps us look at old things in a new. Michael's framing of JRPGs as systems-oriented exercises rather than authored narratives made me realize that I've been focusing on the plot of JRPGs too heavily. I still think most JRPG stories are (at best) pretty goofy, but that's not what makes them unique. Plenty of games have trope-laden plots and shallow characters, but few have the unapologetic granularity that JRPGs have when it comes game mechanics. Where many games try to obscure the consequences of your choices or simulate chaos, JRPGs are great at emphasizing tactical thinking and clear causal relationships. Criticism is also helpful for bringing peripheral events into clearer focus. Without Michael's discussion of Xenoblade: Chronicles or Simon Ferrari's analysis of Final Fantasy XIII, I could have easily written both of those games off as titles that conform to my entrenched notions about the genre. Instead, I'm now aware that both games (and perhaps others?) experiment with environmental storytelling that turns the game world itself into a metaphor that conveys the stories themes. The days when the overworld map was just set dressing for random encounters seems to be over. A few months ago, I gave my brother Xenoblade: Chronicles as a gift because I knew he still likes JRPGs. I didn't realize it at the time, but so do I. I think it's time to exercise my familial borrowing privileges! Though I think these pieces have some problems, the writer gives each title a really close look and provides a great history of the series. 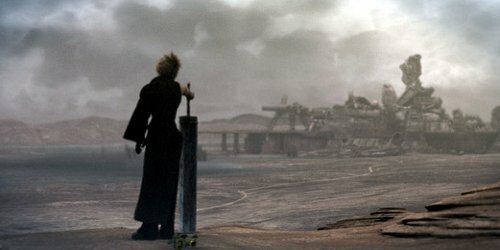 Final Fantasy is a great series to look at not only because it is *the* JRPG franchise, but because the series has changed quite a bit over time. Wow, what a huge undertaking. Thanks for linking to it! It's nice to see the various games analyzed as a whole. It's odd you say it's THE franchise, it is THE jrpg franchise in the west, but Dragon Quest really is THE one in Japan. You know, I've never completed a Dragon Quest game. I really should since, as you point out, it is a mammoth franchise in Japan. Any suggestions for which game is a good starting point? You can't go wrong with either 4, 5 or 8. Personally though, I think 5 is the most interesting (story of a lifetime, manages to create strong bonds with simple mechanics etc) and I think this kind of game suits handhelds well... but 8 really captures what DQ really is. The sense of a nice magical fun adventure, the kind a kid would imagine. Ni No Kuni looks to be invoking that seem feeling too. Although I should say this now, as it confuses most people when they play these games. You don't need to get the best equipment when you see it. Just get what you can and you'll be fine, these games are usually actually pretty balanced outside of usually one bad dungeon early, and one late. 7-9, LETS TRY THE TECH, 7 is just too long for it's own good for trying to use all that storage space, 8 is just beautiful, it really captures the kind of charm DQ always tried to create, if anyone ever says graphics don't matter, make them play this. and 9's use of tag mode and various DS features is kind of interesting.